Here at Ryan Electrical Solutions, we stay on top of the latest trends in the lighting industry. 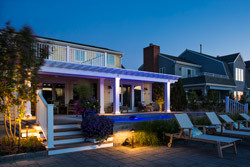 In fact, we are now officially installers of durable and efficient Coastal Source lighting and audio products. This month at Ryan Electrical Solutions we’re celebrating 24 years of service in Central Illinois! 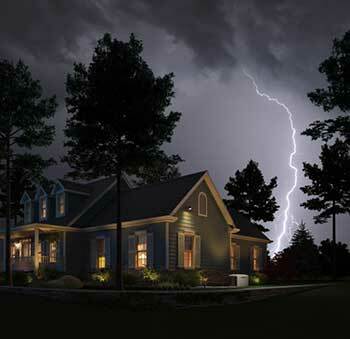 With fortunate growth throughout the years, our family-owned business has transformed into a customer-oriented corporation that focuses on all electrical, generator and audio-visual services. Be sure to check out our new location, 4151 West Jefferson St, Springfield, IL 62707 - one of our most recent improvements! Though we’ve made changes throughout the years, one thing has remained the same: our unwavering focus on quality and safety. We would like to thank our loyal customers for letting us continuously serve your electrical needs and for putting your trust in Ryan Electrical Solutions. Ready or not, Christmas is just around the corner and soon it will be a new year! Who will you be hosting this holiday season? From movies and games with the family, to music and dance parties with friends, Ryan Electrical Solutions will help keep your Christmas and New Year’s Eve parties going all night with your new home entertainment equipment. Not sure what type of system will suit your home best? 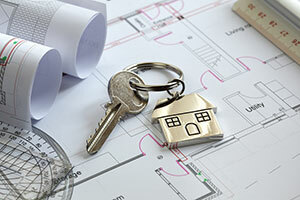 Give us a call and we will help you make that decision. We understand that there are many brands to choose from. Sonos, Bose, Klipsch, Definitive Technology…. The list of speaker brands and products goes on! Not only are there many brands to choose from, but you will also want to research the different ingredients that make an entire system whole. Surround sound speakers, a center channel, bookshelf or floor-standing, subwoofers… These are the different speakers that will really complete your home theater system. Already have a home system? No worries. 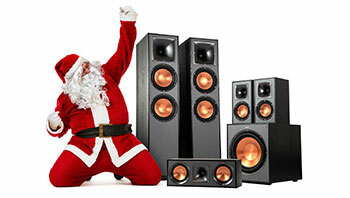 We’ll help you choose the best speaker that will make the perfect holiday gift!